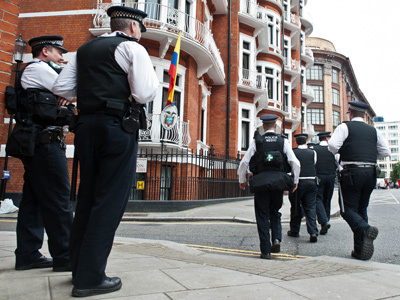 British threats to invade Ecuador’s embassy will be discussed at international-level talks between the foreign ministers of the Organization of American States. The proposal was adopted despite the US saying OAS has nothing to do with the issue. ­Ecuador’s resolution to convene a meeting of the OAS member nations' foreign ministers was adopted with 23 voting in favor, three against and five abstentions. 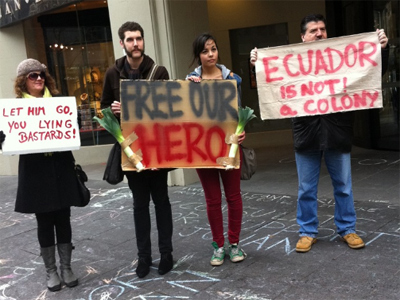 The US and Canada were among those who opposed the measure, stating that the dispute over Assange's fate is a bilateral matter between Ecuador and the United Kingdom, and should not be dragged to the international table. The US State Department stated earlier on Friday that the OAS has “no role” to play in a “bilateral issue between Ecuador and the United Kingdom.” Not party to the 1954 OAS Convention on Diplomatic Asylum, the United States “does not recognize the concept of diplomatic asylum as a matter of international law,” the statement read. The foreign ministers of the bloc's thirty-five member states will convene at the OAS Headquarters in Washington, DC, on August 24. A special meeting of the Permanent Council of the Organization of American States was held on Thursday and Friday. The bloc discussed Ecuador’s proposal to arrange a ministerial meeting of the member states to address the issue as a matter of international law. Ecuador called for an emergency OAS meeting after it received a memorandum from the UK that included a threat of an assault on the country’s London embassy to arrest WikiLeaks founder Julian Assange, who was seeking political asylum there, if he is not handed over to the British authorities. 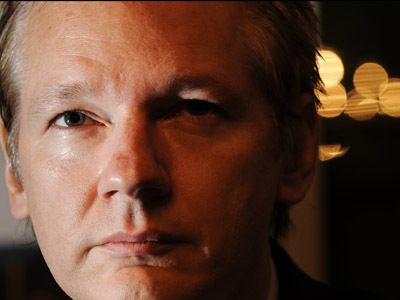 The contents of the letter were revealed the day before Ecuador publicly announced its decision to grant Assange political asylum. 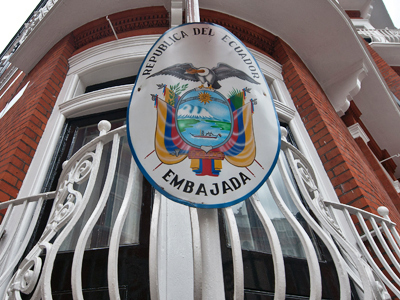 While the UK maintains that it has a right to extract Assange from Ecuador’s embassy, the Latin American country says any entry by British authorities onto its ambassadorial premises to arrest Assange would constitute a violation of Article 22 of the Vienna Convention on Diplomatic Relations. The Vienna Convention on Diplomatic Relations, 1961 established protocols to ensure that international diplomats could perform their duties without fear of coercion. Both the UK and Ecuador ratified the convention. “But there is a different question that arises. It is commonly known that many individuals suspected of committing grave crimes have found a haven in Great Britain, the release of whom has been demanded by several countries, including Russia. 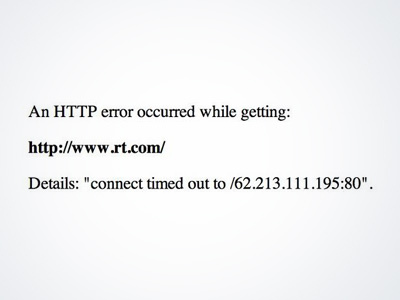 How then are we supposed to evaluate the rights of the fugitive Assange, when London turns the observation of those rights for such individuals into an absolute?” the Russian Foreign Ministry said. 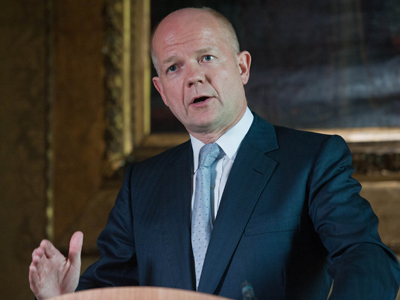 On Thursday, British Foreign Minister William Hague said that the UK "remains committed” to its obligation to extradite Assange to Sweden, and that the Ecuadorian government's decision will not change anything as Assange's diplomatic immunity is not recognized by the UK. Ecuador promised to pursue all legal avenues, including an appeal to the International Criminal Court, if the UK refuses to grant Assange safe passage from the country. But as long as London refuses to give him safe passage, Assange will stay at the Ecuadorian Embassy, the country’s president Rafael Correa said in a radio interview on Friday. 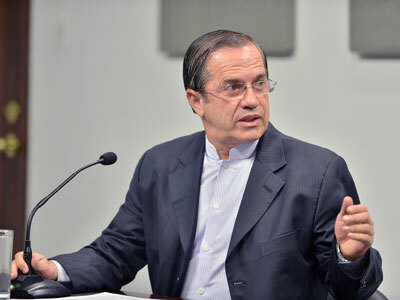 Correa asserted that Ecuador won’t hand Assange over to the UK authorities as there is no legal basis for such demands. In search of regional support, Ecuadorian Foreign Minister Ricardo Patino also called on the Council of Foreign Ministers of the Union of South American Nations (UNASUR) and the Bolivarian Alliance for the Peoples of Our Americas (ALBA) to hold meetings with a similar agenda. The ALBA countries responded to the call with a statement expressing their solidarity with Ecuador and a “most resounding rejection” of the UK's threats against the country. According to a press release published by Ecuador, the ALBA governments warned Britain of “the serious and irreversible consequences the execution of these threats would have on the political, economic and cultural relations” with its member countries. The executive secretary of the ALBA, Rodolfo Sanz, confirmed that an emergency meeting on the issue would take place on Saturday. 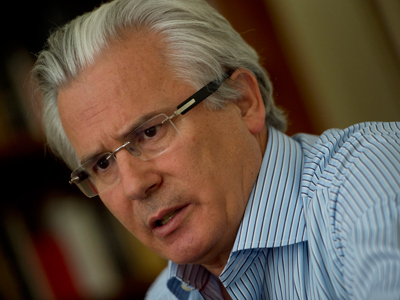 Sanz said the majority of ALBA member states support Ecuador and believe the UK authorities should recognize Assange's political asylum status in full accordance to the international law.